It's probably the most aggressive MT tire, and it works perfectly on any type of flooring thanks to its massive and durable tiles. 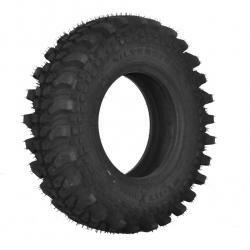 This extremely durable field tire contains specially developed silica-based rubber admixtures that minimize damage by cutting and tearing pieces of tread. Before the mechanical damage and deformation, the tire protects the special reinforcement on the side wall of the tire. Placing the blocks on the middle of the tread improves steering and grip. Thanks to the wide spacing in the tread block, the tire is unmatched in mud clearance. 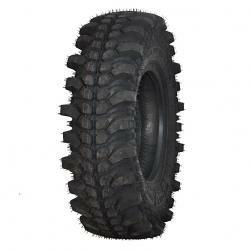 * The special middle tread design provides excellent traction. * Thanks to the wide spacing of the tread blocks, there is no equal in cleansing. * Excellent in mud as well as on sharp rocks.